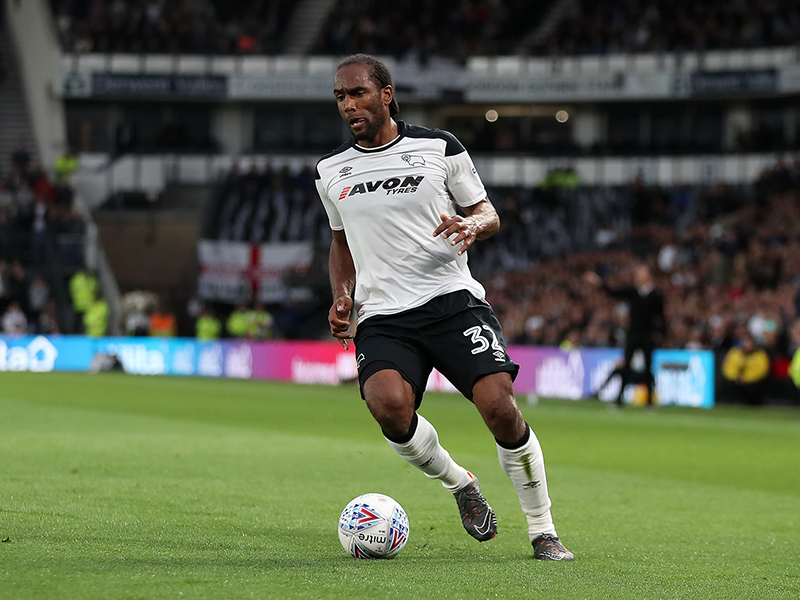 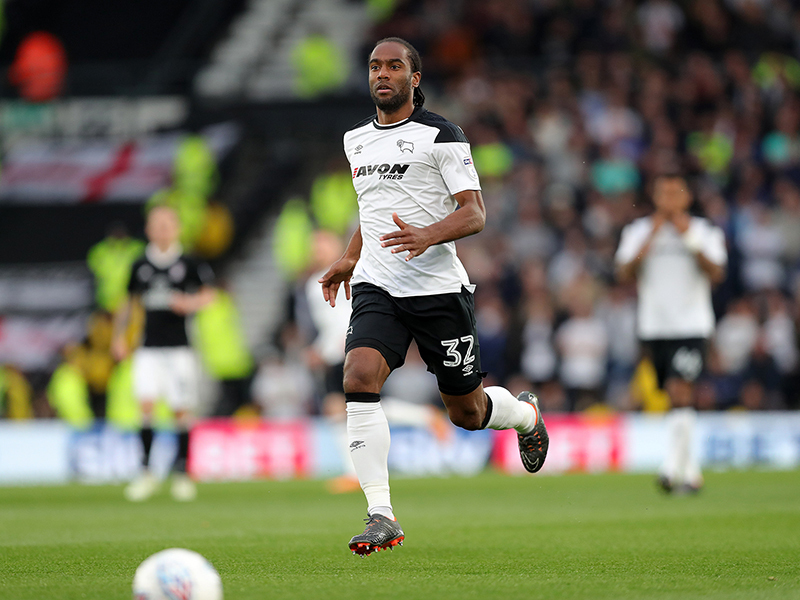 Derby County will take a lead to Craven Cottage on Monday night after Cameron Jerome's first-half header secured a 1-0 victory against Fulham in the Sky Bet Championship Play-Off Semi-Final first leg. 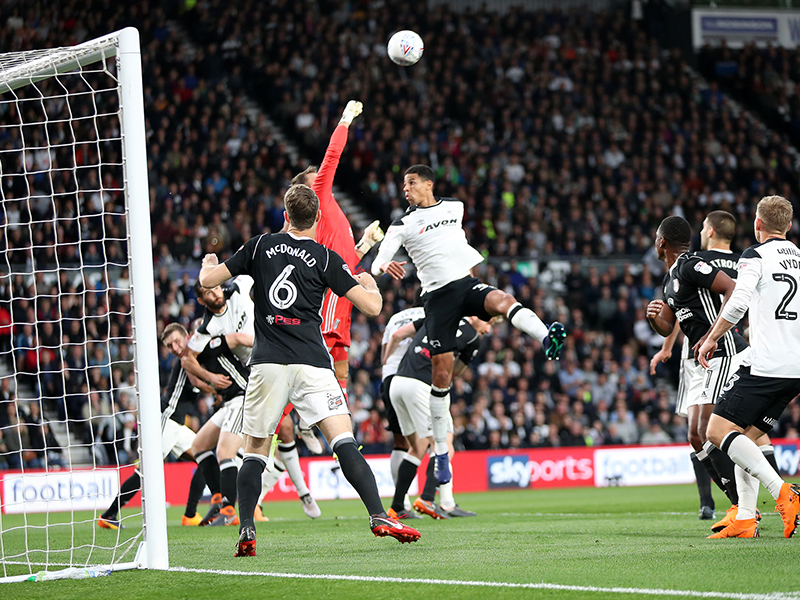 Pride Park Stadium erupted when Jerome found the net after 33 minutes, which means that he has now scored in four successive games for the first time since September 2005. 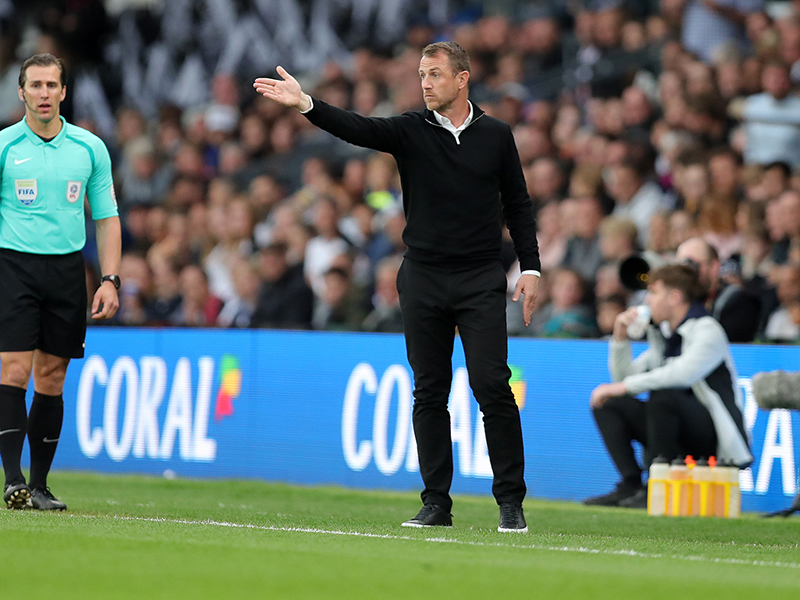 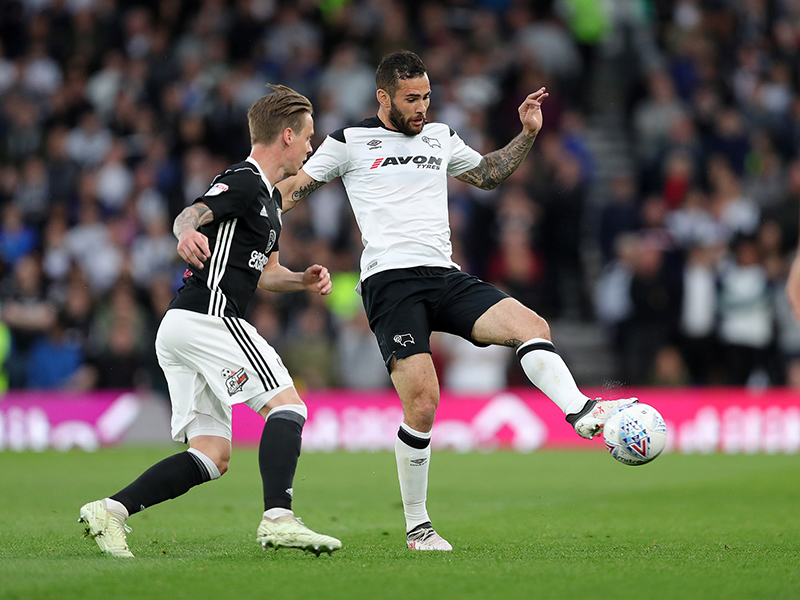 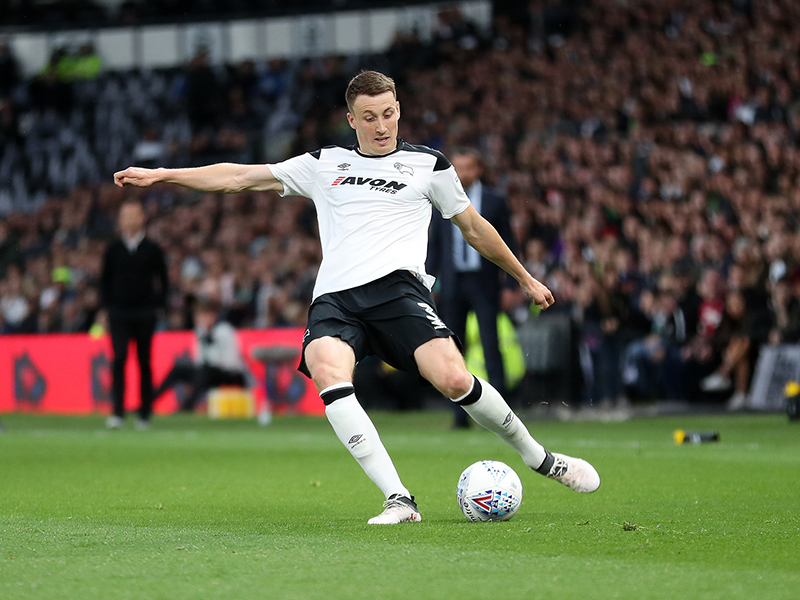 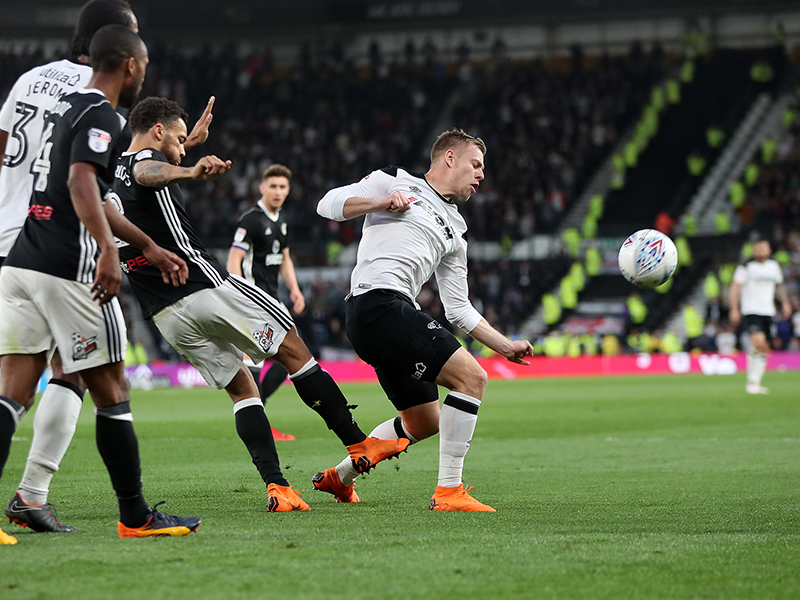 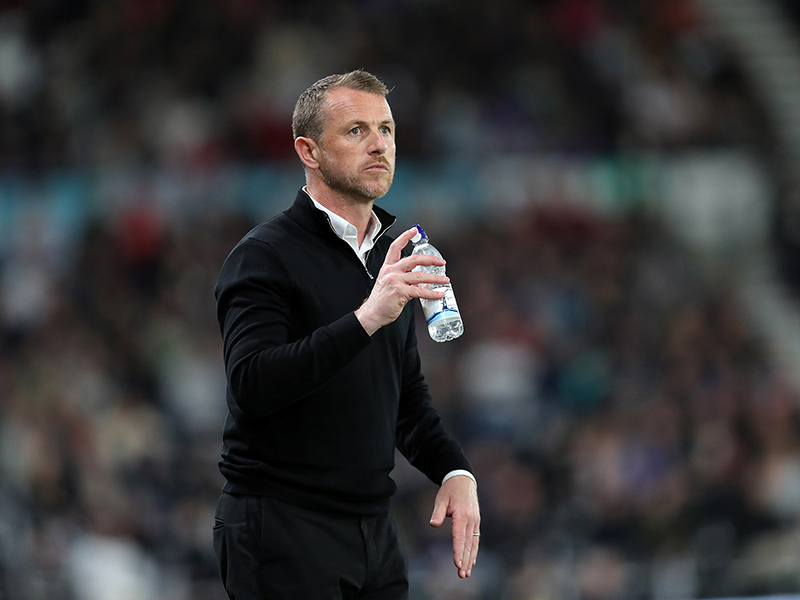 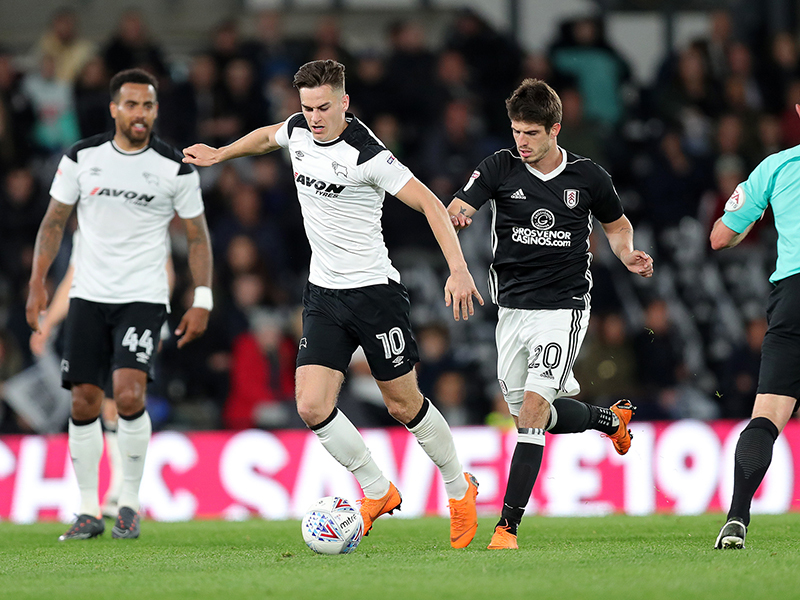 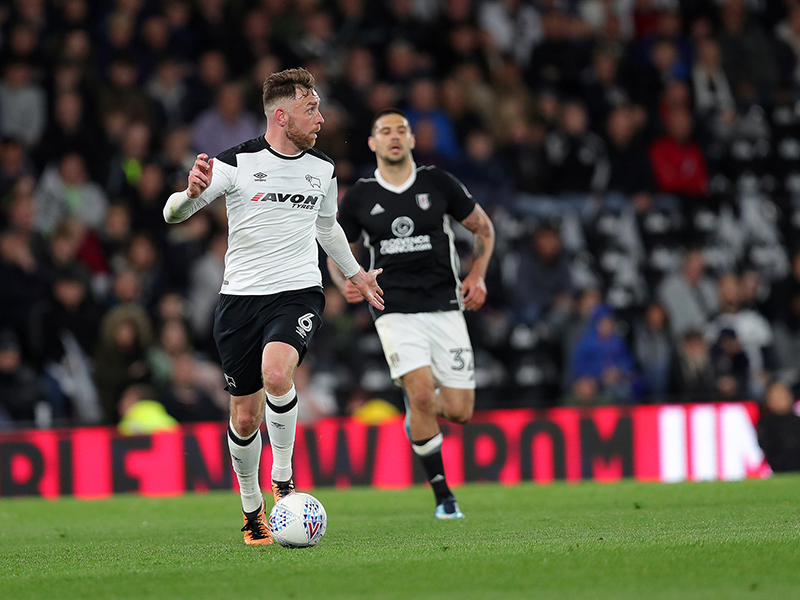 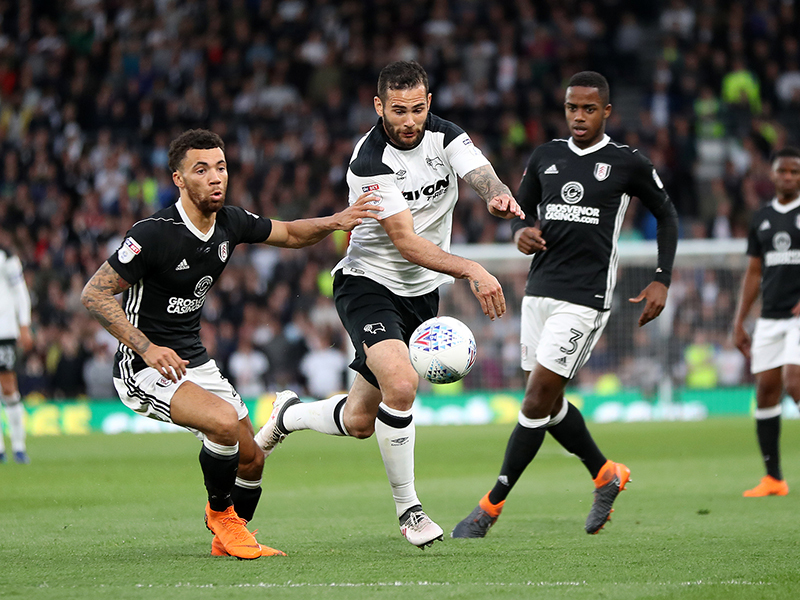 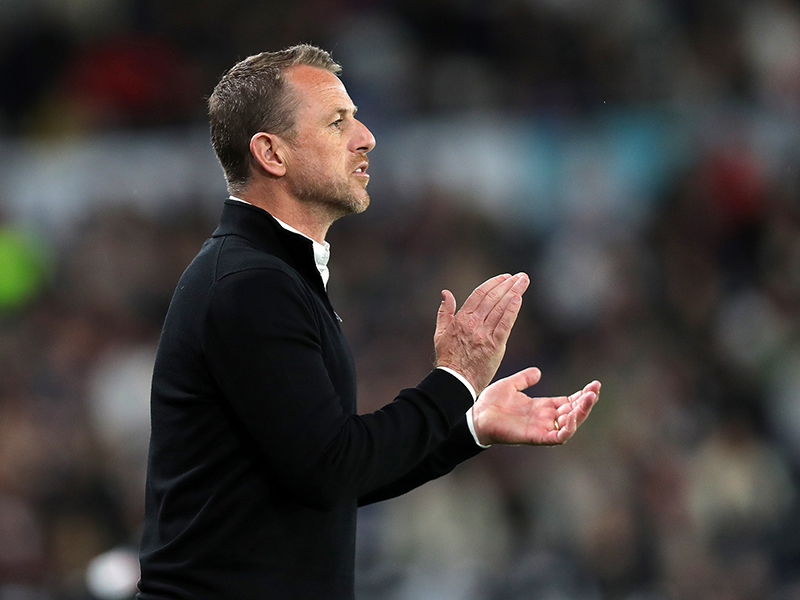 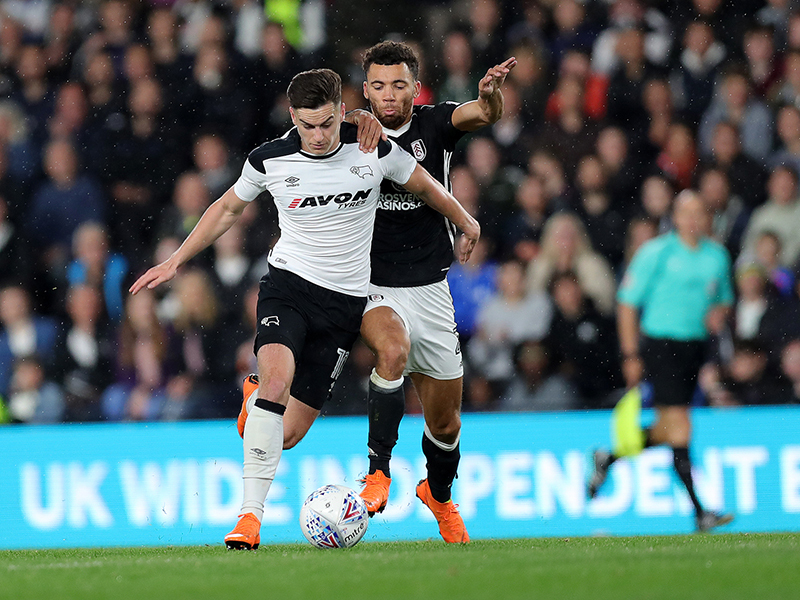 Fulham pushed forward in the second-half but Derby were strong and they battled to secure a slender lead ahead of facing Slavisa Jokanovic's side again on Monday. 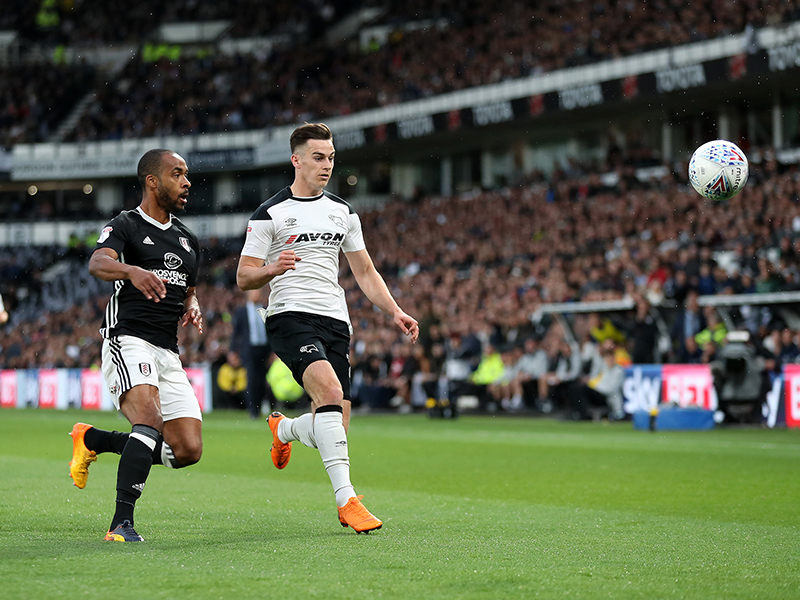 Jerome looked sharp from the off and twice he got in behind the Fulham backline in the opening stages, but twice he was flagged offside. 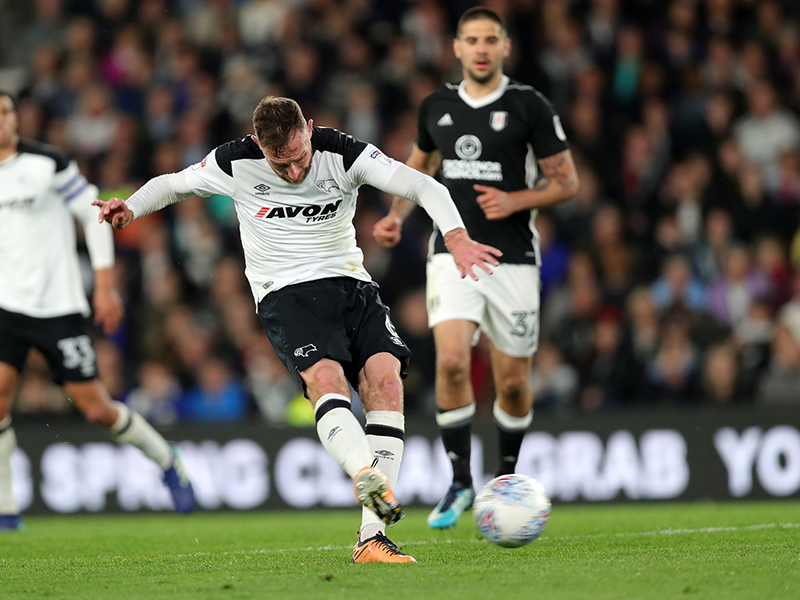 In a half of few chances, Derby were compact and broke with frequency through their attacking trio, but the opening goal came from a more direct route. 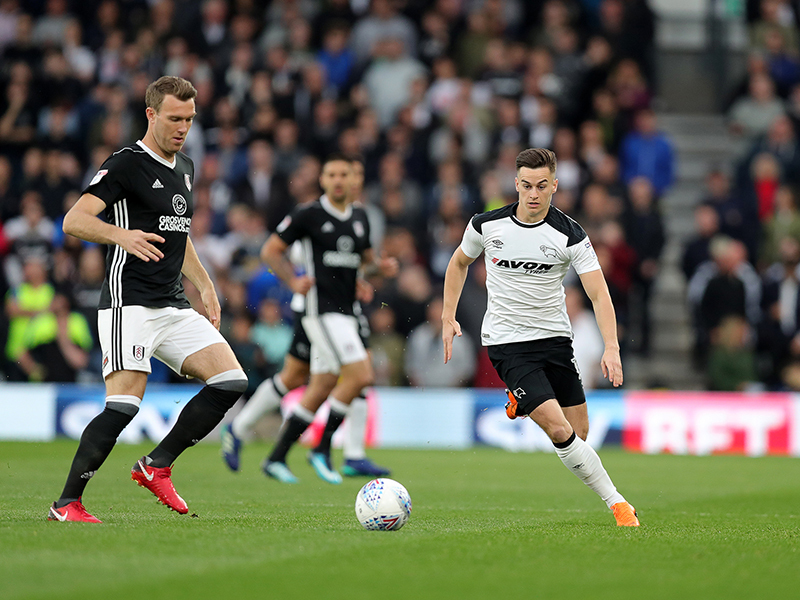 Tom Huddlestone played a beautifully disguised ball into the path of Craig Forsyth, and the Scot bent a perfect cross towards the in-form Jerome, who powered his header into the corner. 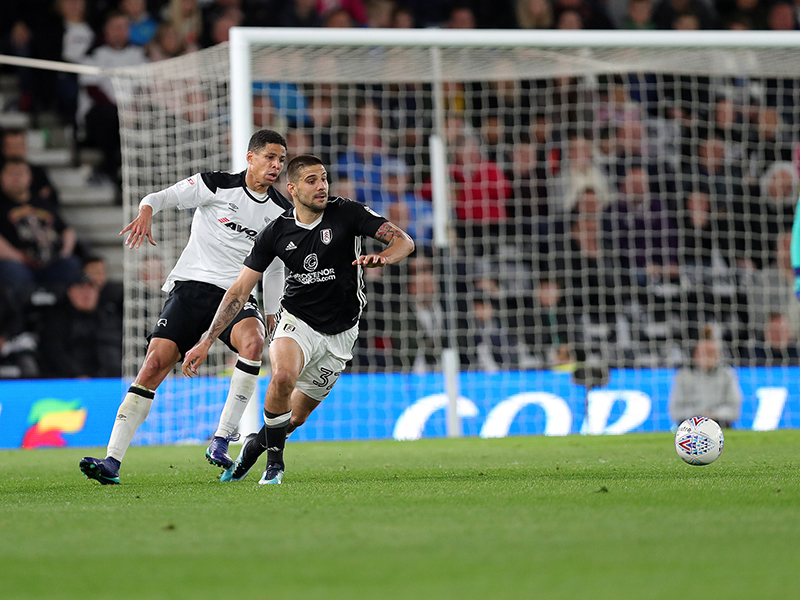 Aleksandar Mitrovic had little service in the first-half but he fashioned an opening seven minutes before the break, with Scott Carson getting down well to save. 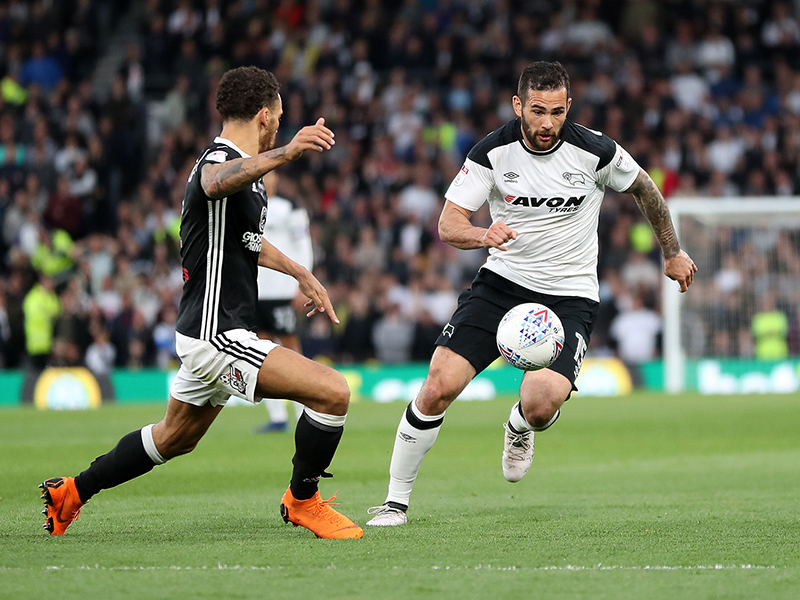 The Cottagers went inches away from levelling twice in the space of a minute as the second-half got underway. 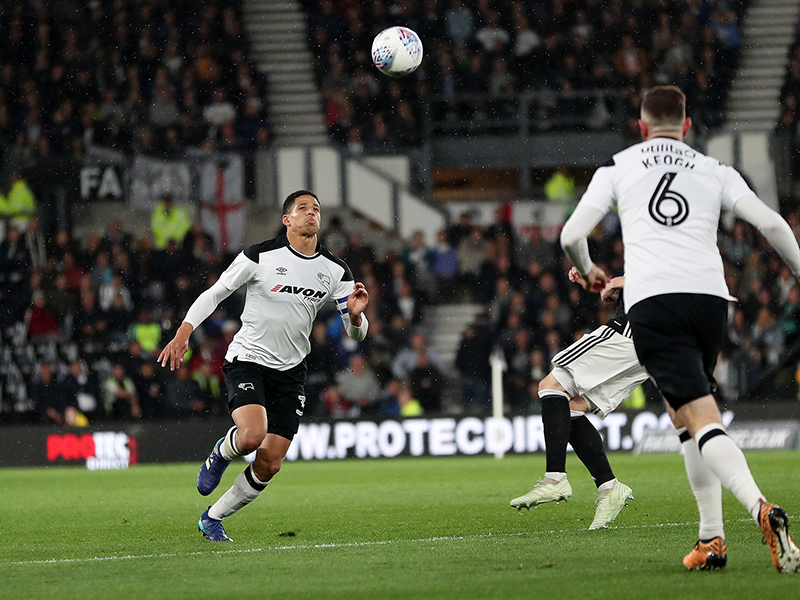 First, Kevin McDonald struck the bar after a neat one-two with Mitrovic. 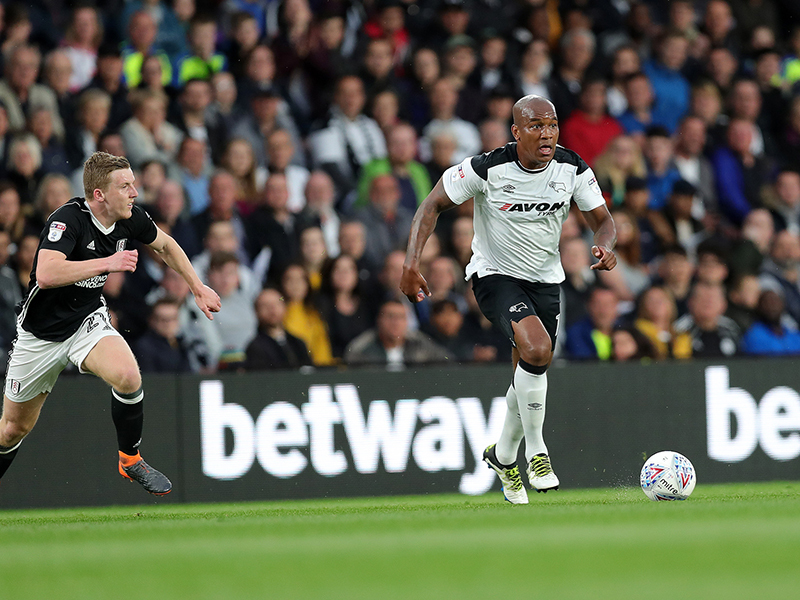 Then, Floyd Ayite volleyed just over after he latched on to a searching ball over the top. 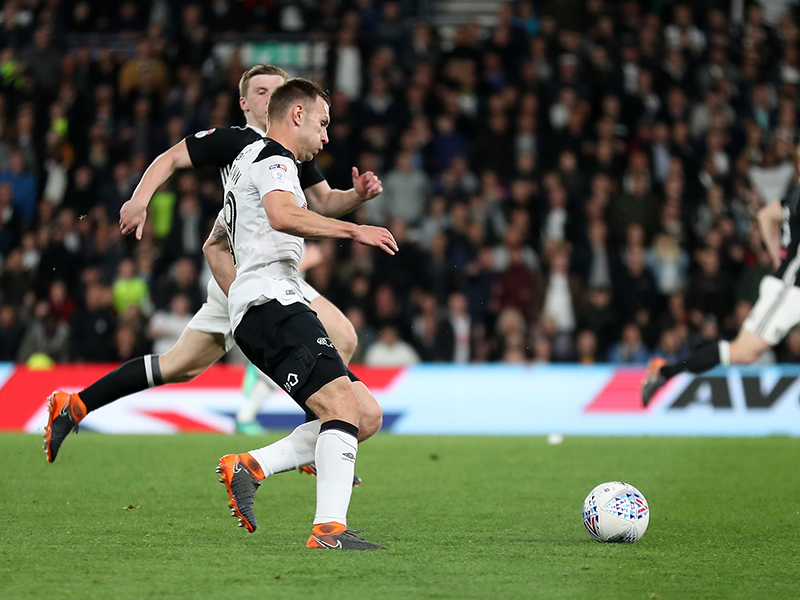 Just after the hour-mark, Carson stopped a rising effort from Tom Cairney as the pressure from Fulham began to build. 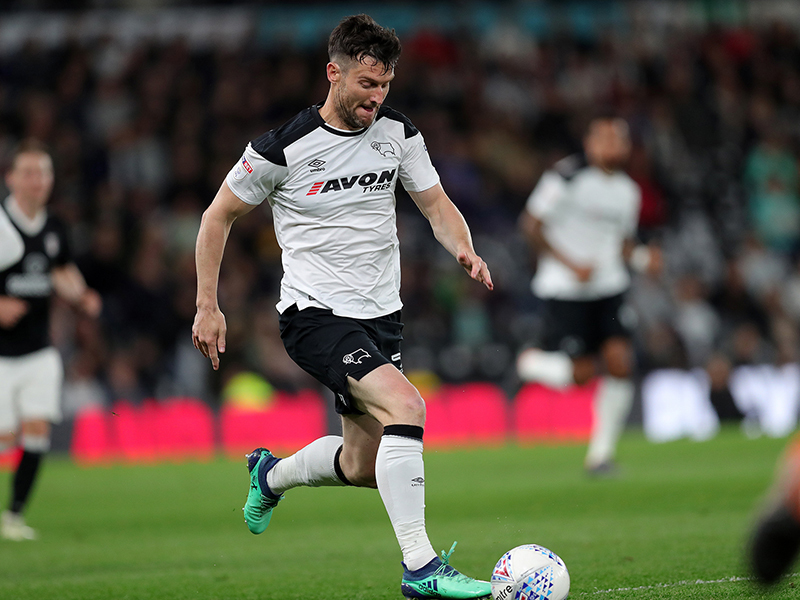 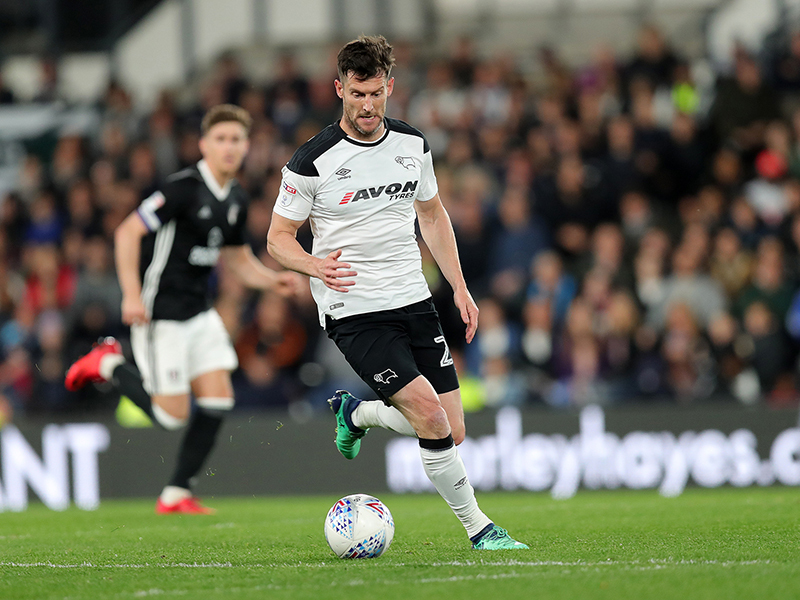 The Rams still looked a threat on the counter-attack, and substitutes David Nugent and Ikechi Anya added extra energy to the forward line. 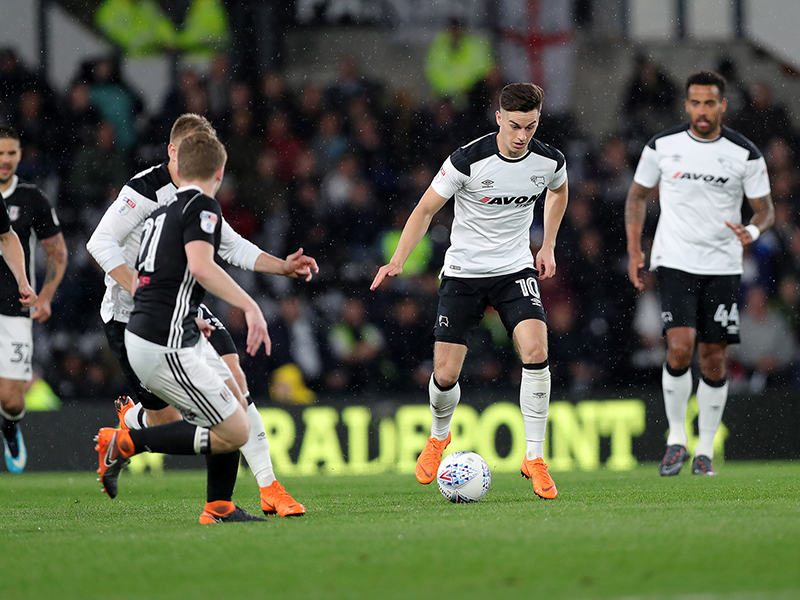 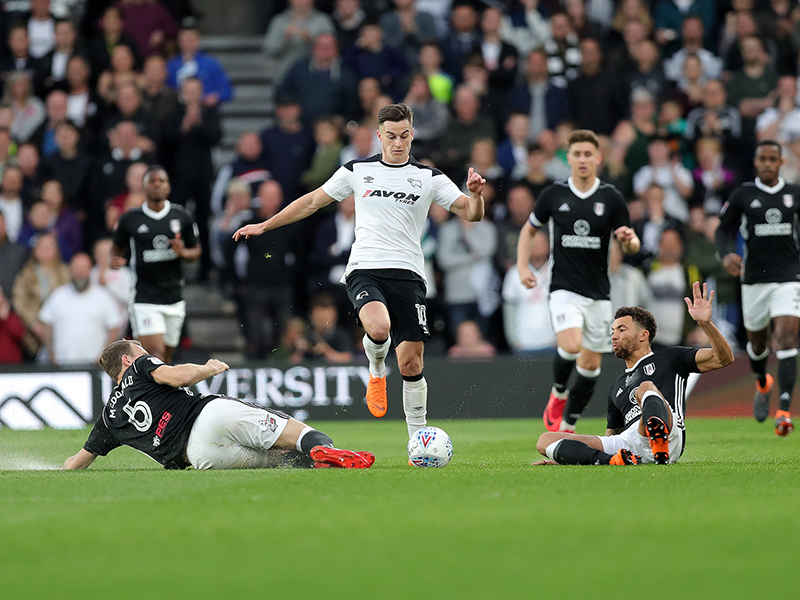 Cairney then fired over the crossbar with his left foot, as defence and attack became all the more desperate with the clock running down, but Derby held on for what could turn out to be a crucial victory. 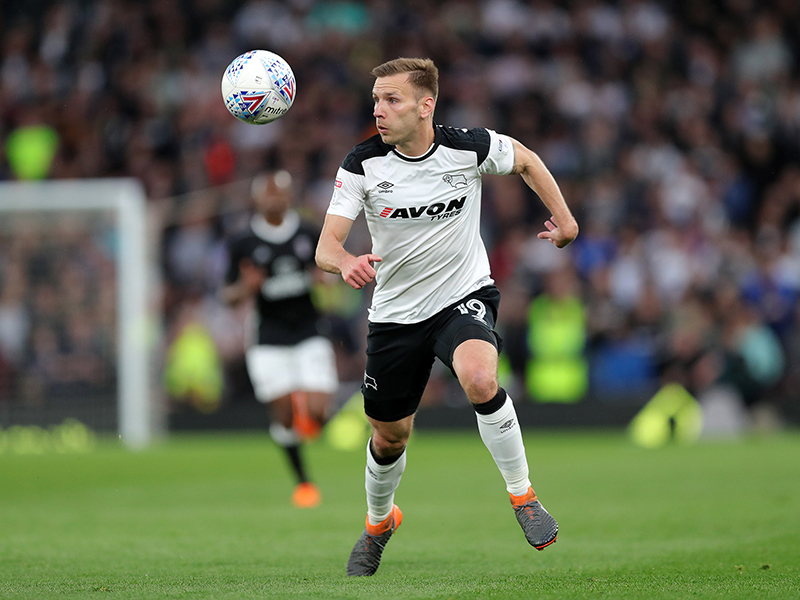 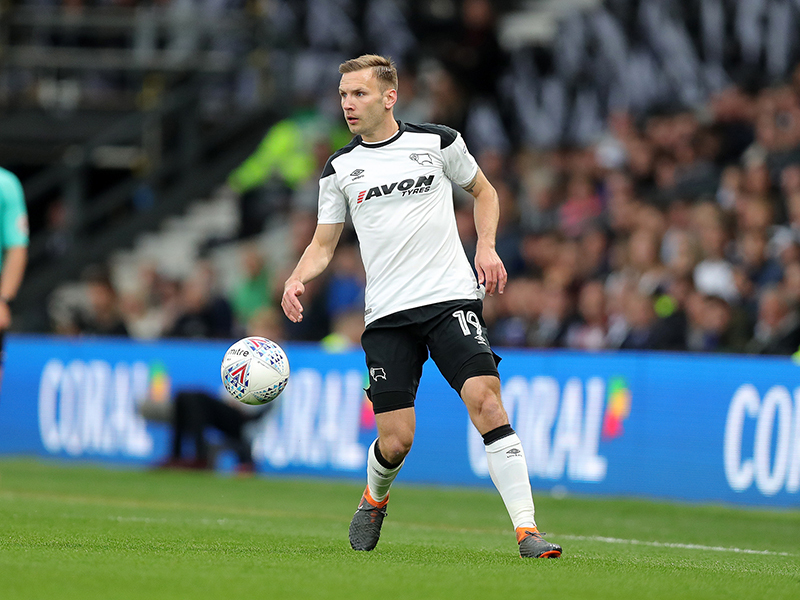 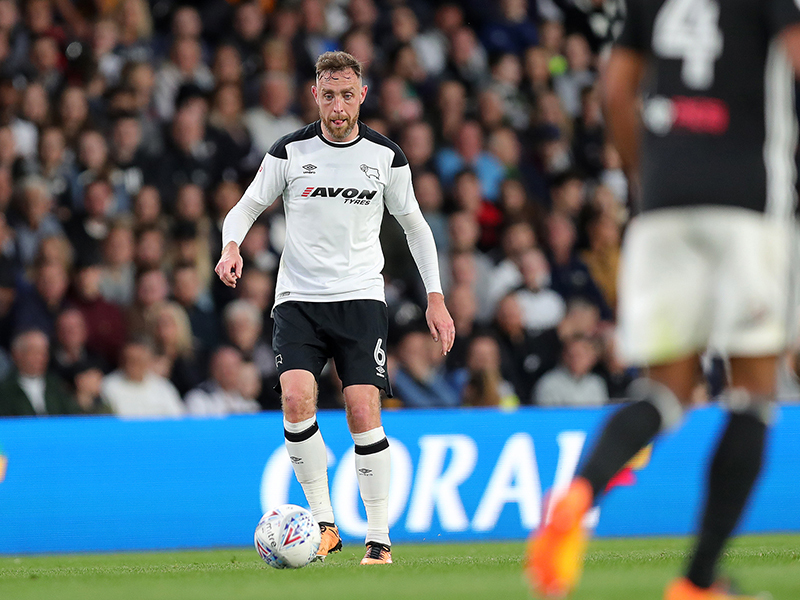 Derby County: Carson; Keogh, Davies, Forsyth; Wisdom, Huddlestone, Johnson, Weimann (Hanson, 90'); Vydra (Anya, 68’), Jerome (Nugent, 68’), Lawrence. 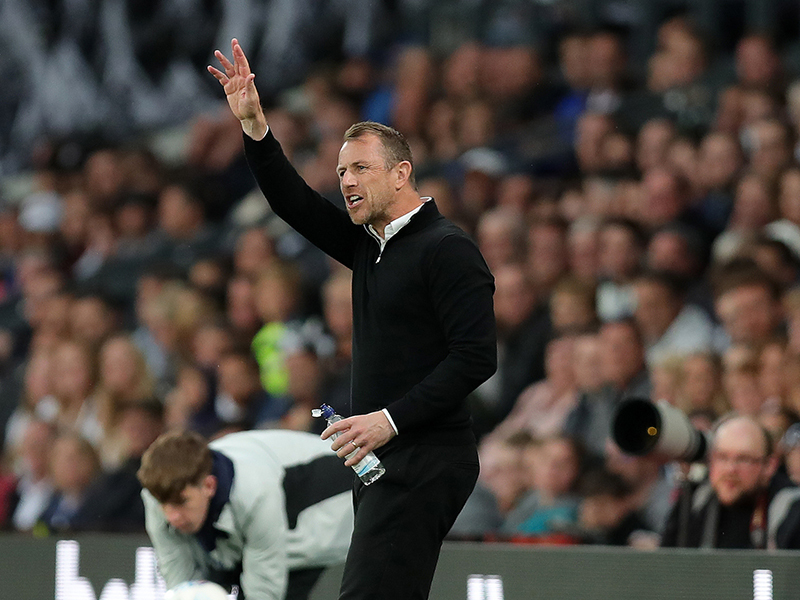 Substitutes not used: Roos, Palmer, Pearce, Ledley. 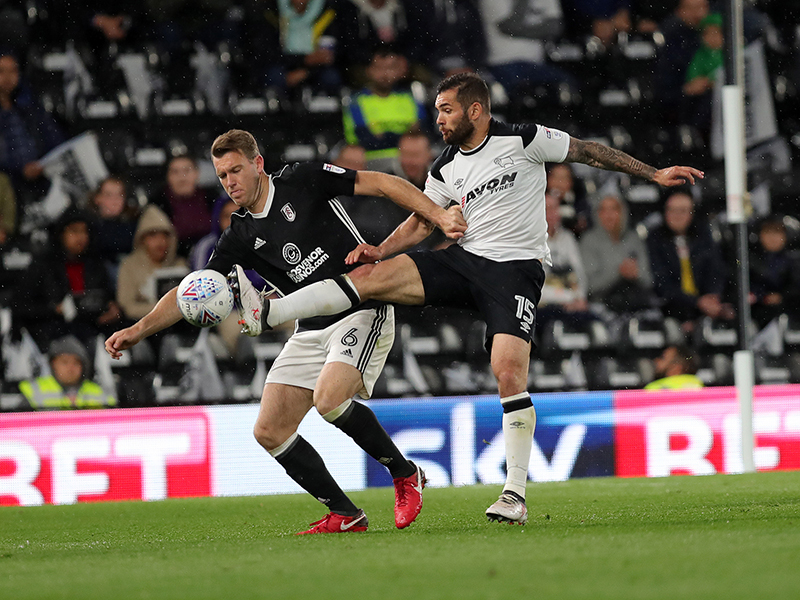 Fulham: Bettinelli; Fredericks, Odoi, Ream, Targett; Cairney, McDonald, Johansen (Norwood, 88'); Ayite (Piazon, 76’), Mitrovic, Sessegnon (Kebano, 76’). 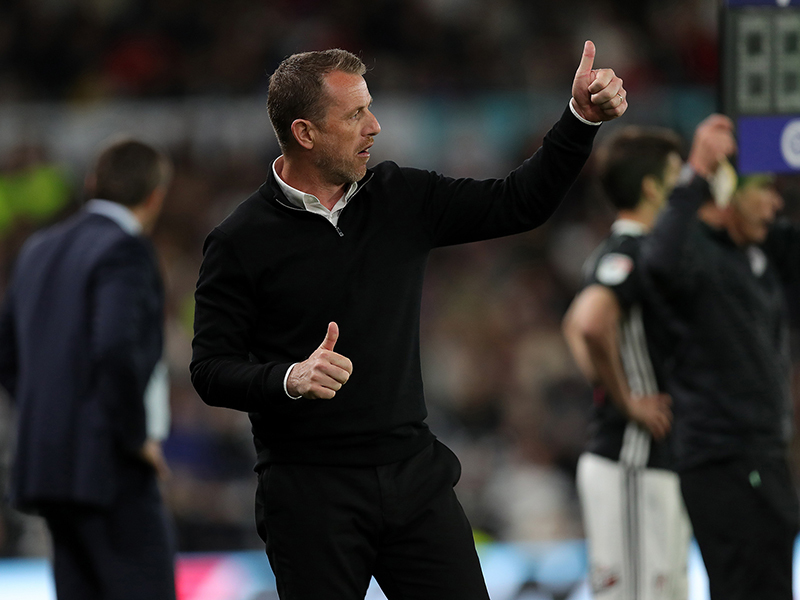 Substitutes not used: Button, Christie, Kalas, Kamara. 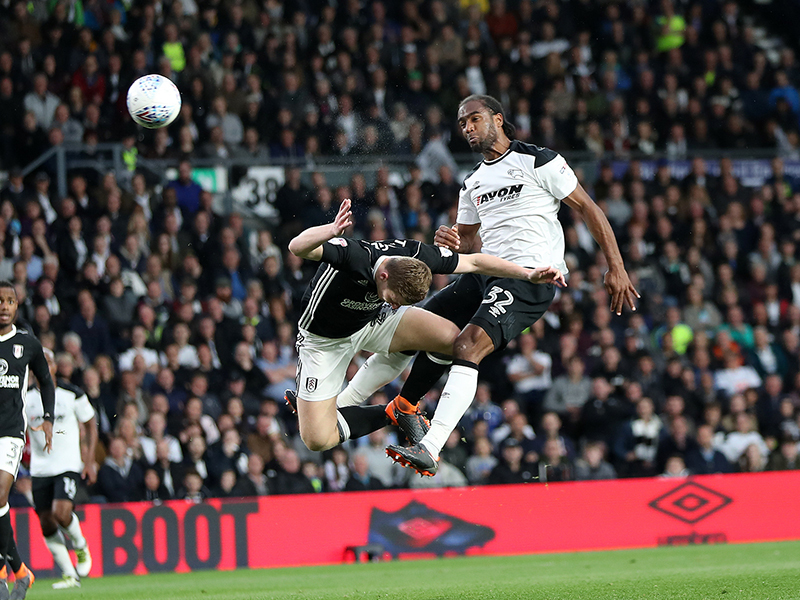 Jerome made it five goals in his last four games with a bullet header, and it was just what he deserved for his work-rate and commitment in the first-half. 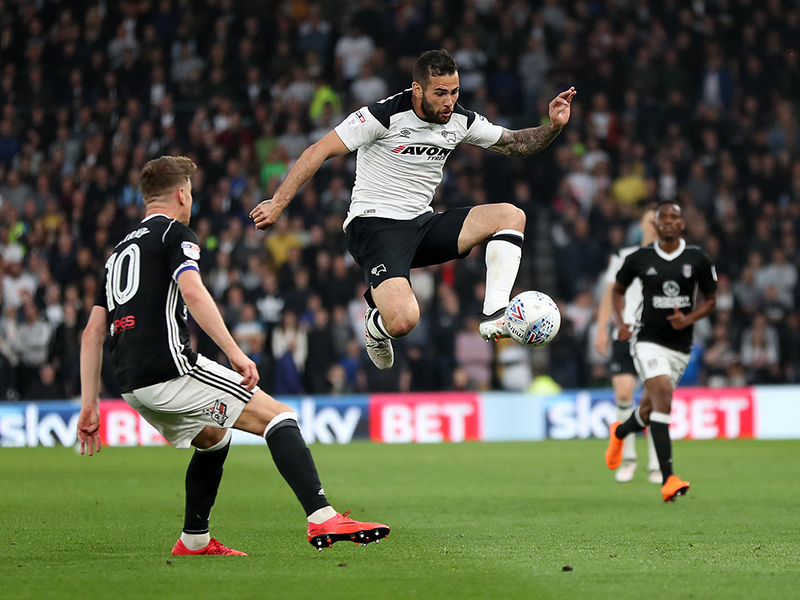 He worked to press the Fulham defence tirelessly and when Forsyth found him with a terrific cross, the striker made no mistake in the air to power beyond Marcus Bettinelli. 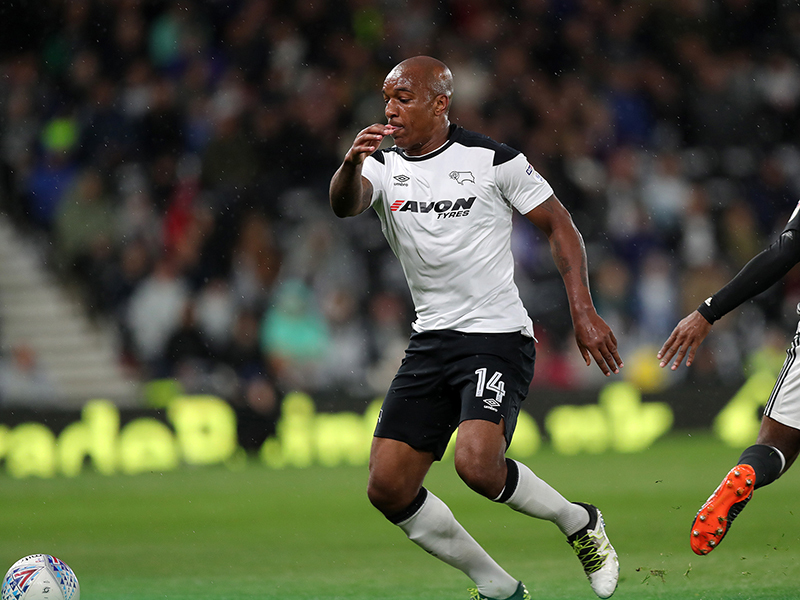 Andre Wisdom has been in immense form since the switch to a back-three. 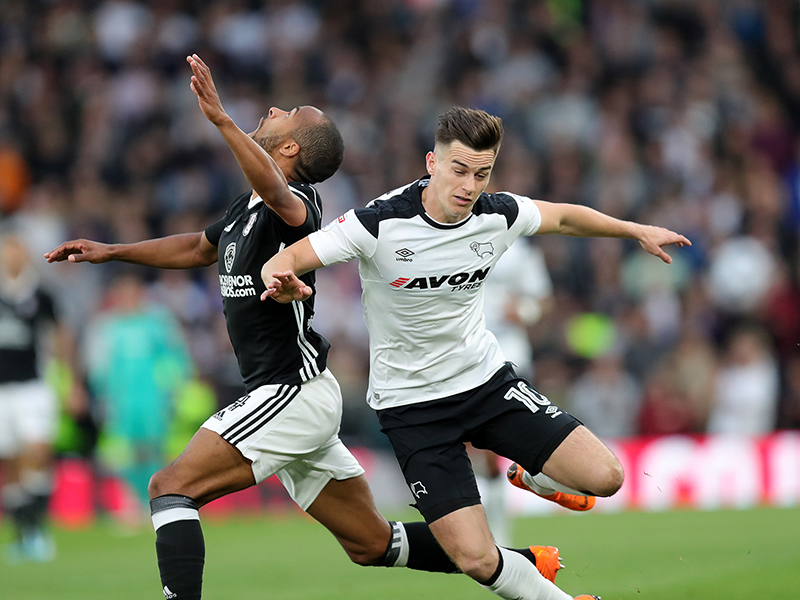 Once again, he displayed renewed attacking energy but his defensive contribution was most impressive. 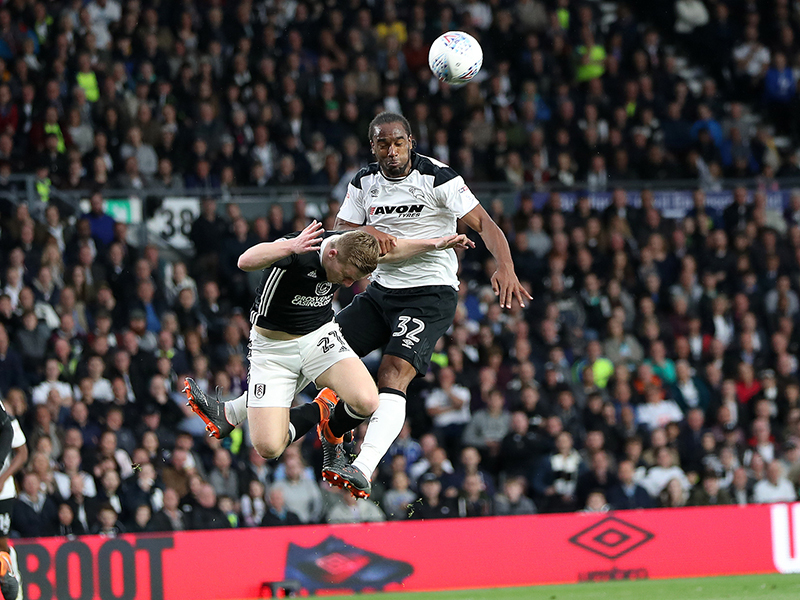 He kept the supremely talented Ryan Sessegnon quiet until he was replaced with a quarter-hour to play, and he won several aerial duels late on as Derby looked to keep Fulham quiet. 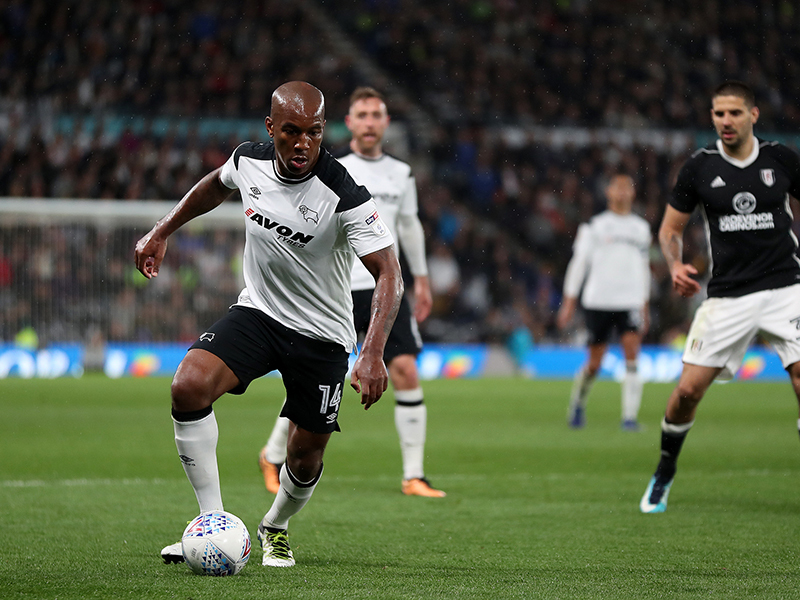 The Rams head to Craven Cottage for the second leg of this tie on Monday, kick-off: 7:45pm.